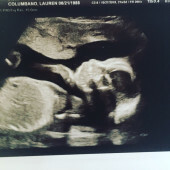 Baby Girl Columbano will be here before we know it! Until we find our forever home, we have limited space in our Brooklyn apartment for this little girl! We are registering for only a few things that we think she will love and won't have space for much else!